Lone tree USA was among several businesses and community supporters who came out this year to help New Image Emergency Shelter for the Homeless with their annual Christmas Store. For over 20 years, they have provided toys, shoes, gift cards, refreshments, and a visit with Santa, for children of homeless and low-income families in the Los Angeles area. The event was held on Saturday, December 20, 2014 at the Westin Hotel in Long Beach, California. It served 547 homeless and low-income families with a total 1,641 children to date this year. 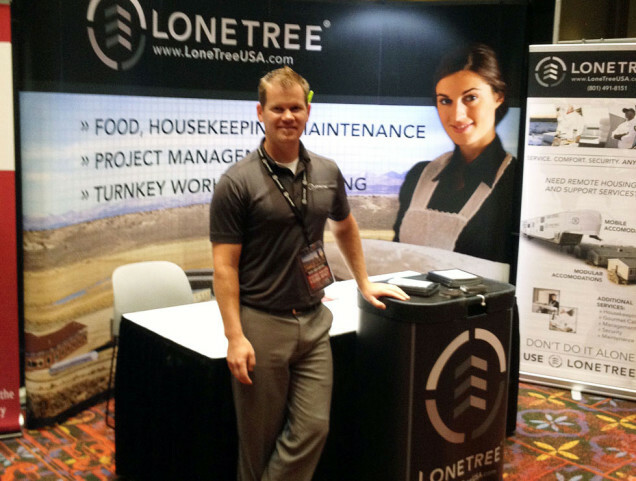 San Antonio, Texas, USA (July 9-10, 2014) – Lone Tree Remote Camps, LLC (dba Lone Tree USA) attends the South Texas Oil and Gas Expo. The expo was a large event for energy producers and service providers. The event shared the latest in industry advancements, products, and applications. The expo also included visual examples and live demonstrations of the field technologies that are currently in use. It offered opportunities for networking and brand exposure among industry professionals. Lone Tree USA attended the 2013 Nevada Mining Convention at Lake Tahoe, Nevada. This annual event was hosted by the Nevada Mining Association (NVMA) and boasted over 500 attendees. The Mining Convention was a great opportunity for those involved in the mining industry to network and become more familiar with one another through a variety of activities and workshops.